The story told by @thejourneguy. A vocal fan and connoisseur of F.P. Journe, thejourneguy covers the brand primarily on Instagram and his most recent post is a story well worth reading. 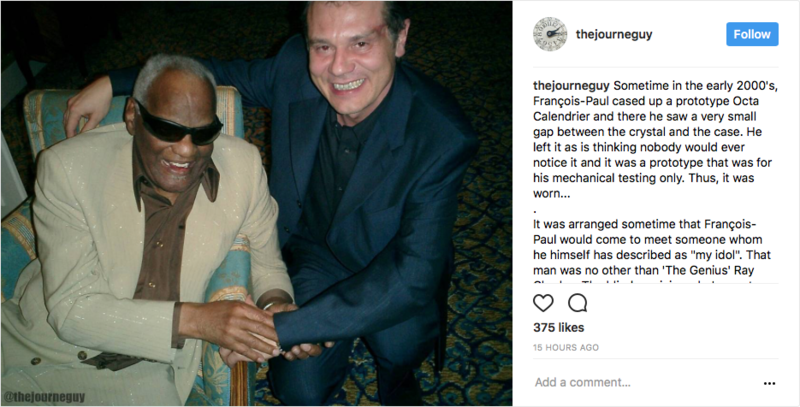 It details how Francois-Paul Journe once met the late Ray Charles and almost built a custom watch for the musician. Read the story here.